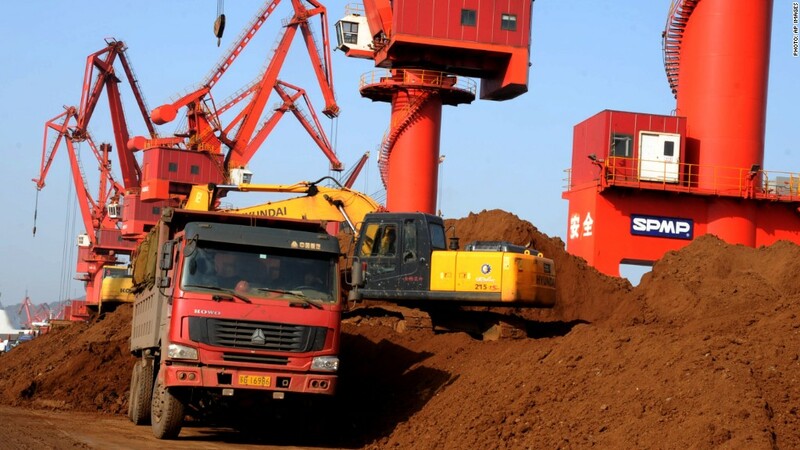 An excavator loads rare earth onto a truck at the Port of Lianyungang in eastern China. China has just scrapped its controversial limit on rare earth exports. The move could increase global access to coveted materials that are used in a wide range of high tech devices. The Chinese Ministry of Commerce made the announcement over the holidays, but said export contracts will continue to be monitored, according to state media reports. Rare earth materials are used in a wide variety of products such as cell phones, electric vehicles and national defense products. China is the world's biggest producer of rare earths, and had been under pressure for years from the U.S. to remove its cap on exports to meet global demand. However, China has argued its rules were in place to protect the environment and avoid exhausting its natural resources. China's policy change comes after the World Trade Organization ruled in mid-2014 that the nation's policies were unfair. The U.S. issued a formal complaint in March 2012. Many nations backed the U.S. complaint, including Brazil, Canada, Japan, Argentina, Russia and Australia, as well as all members of the European Union. Australia's Lynas Corporation and America's Molycorp (MCP) are two companies that have tried to ramp up production of rare earth materials to loosen China's stronghold on the market. But both companies are relatively small, with market capitalizations below $200 million. -- CNN's Cy Xu in Beijing and CNNMoney's Charles Riley in Hong Kong contributed to this report.